Has Matthew Paris done cyclists some good after all? He wrote a column in the Times about how cyclists should be decapitated as penance for throwing drinks bottles into the hedgerows and for generally existing. Such was the well publicised outcry from a wide spectrum of groups that you can't help thinking that this has helped to improve the image of the downtrodden and victimised cyclist. I'm not so sure, so I contacted the BBC (as Mr Parris is a long-serving Radio 4 presenter) to ask what action hey would take. 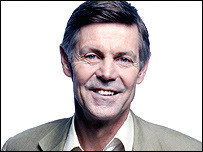 Will you be considering Matthew Parris' position on various Radio 4 programmes, following his outspoken and inciteful remarks regarding cyclists? Here is a link to Matthew Parris' original article, and to his apology.